This article is 1247 days old. 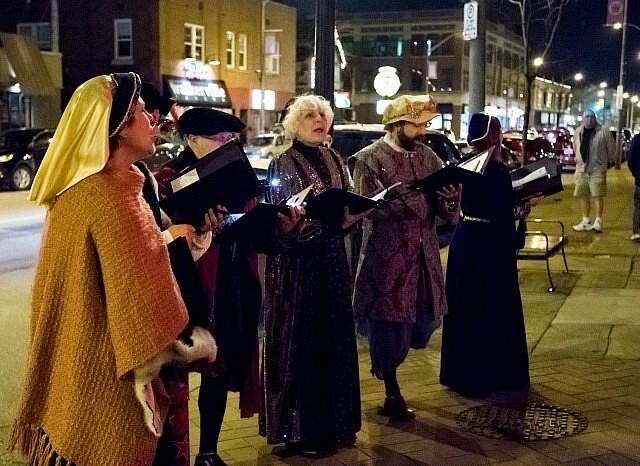 One of the area’s first Christmas events of the season takes place this weekend. The annual Walkerville Holiday Walk takes place this Friday and Sarurday where businesses offer discounts, treats and a variety of special events. Windsor’s Community Tree Lighting takes place Friday at 7:30pm in Jubilee Park with a community sing-a-long. On Saturday starting at 10am live ice sculpture carving takes place on Kildare & Wyandotte. Santa will be in town on Friday from 6pm to 8pm and Saturday from 11am to 1pm at Ten Thousand Villages Canada. To find out more information on this Christmas event, and other events, check out the Windsor Christmas Guide.